The book Chafetz Chaim is the first all-encompassing book on the topic of the laws of Lashon Hara (evil speech). The laws are divided into 2 parts: The first section is about laws of Lashon Hara and the second one is about laws of gossip. 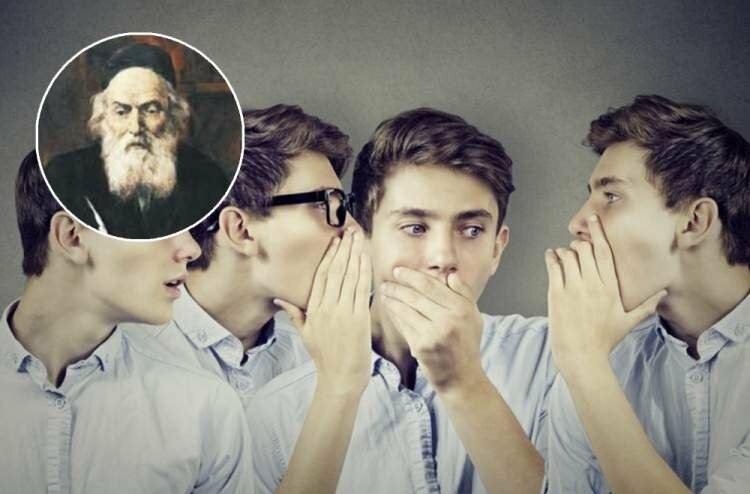 The Chafetz Chaim wrote a book called ‘Guarding the Tongue’: This title hints to the verse “One who guards his mouth and tongue guards his soul from troubles” (Proverbs 21, 23). The book deals with ‘Mussar’ introspection and essays about guarding your tongue. The Chafetz Chaim’s aim was to teach the world that it is still possible to be victorious over the predisposition of man to evil speech. The Book brings down 31 transgressions a person may do when speaking Lashon Hara: 17 are negative transgressions violating something prohibited and 14 are failing to do a positive commandment one is obligated to do. 8 of these sins will occur any time someone says Lashon Hara and the rest depend on the circumstances. There are 4 curses in the Torah which can bring the punishment of excommunication for someone who speaks Lashon Hara in addition to all the sins which one can transgress. The Second Temple was destroyed because of baseless hatred: The Chafetz Chaim explains that the expression of this hatred is saying or accepting Lashon Hara gossip or slander about other people. He also explains that the 3rd temple has not yet been built because Lashon Hara is still very prevalent. This law book is based on Torah verses, Talmud, and early halachic authorities including Maimonides, the Great book of Mitzvoth by Rabbi Moshe of Coucy and the “Gates of Repentance by Rabbi Jonah of Gironde. The book is very well structured and easy to use. The laws are concise and in another section called the Be’er Mayim Chaim the sources of the law are brought down in full detail.